On your request we can offer you a delivery in a trailer truck with a larger quantity. The outer dimensions of the plastic pallet are 800 mm long, 600 mm wide and 160 mm high. Despite its metal stirrups, it is still subject to the ISPM15 standard for the heat treatment of wood packaging. They do not require any special storage conditions. You can store indoors or outdoors. 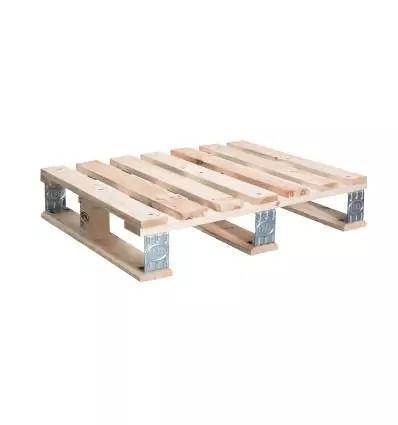 these pallets are handled with an electric or manual forklift truck or pallet truck. Used Dusseldorfer pallets are sorted and repaired if necessary. Metal stirrups may have a deformed appearance that does not affect the load bearing characteristics.